Clean and housekeeping is done daily. 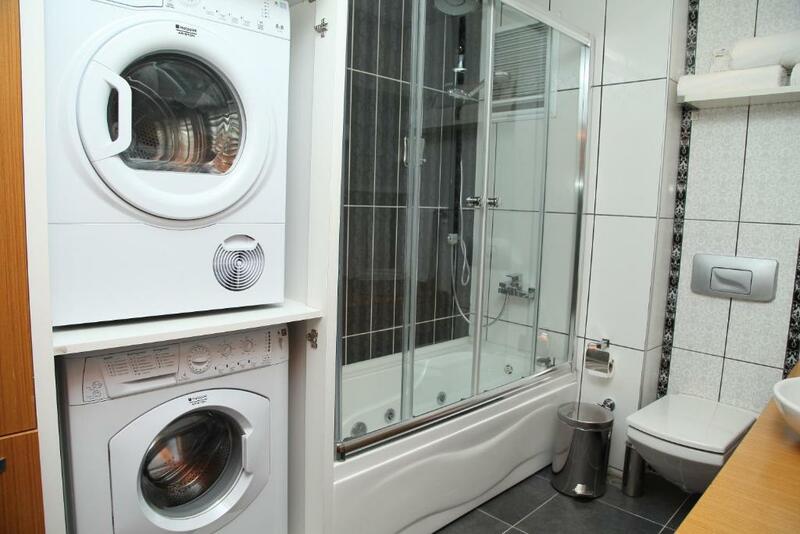 The apartment is equipped with all required machines including cloth dryer. Fully equipped apartment. Very near to the Ayub Mosque. Very nice area. 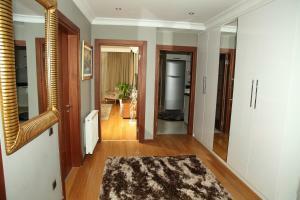 Close to Eyup sultan and pier loti Close to many attractions like Vialand. Nice view from the balcony. الشقة واسعة ونظيفة ومكيفه متوفر غسالة ملابس ومكرويف ومكواة الحي أو شارع أيوب جميل ، بإمكانك التنزه في الشارع جنبك الأسواق والمخابز والمقاهي ومطاعم البيتزا وأمامك بقالة . وقريب من مسجد أيوب الأنصاري . موقع الشقة في منطقة محافظة. قربها من منطقة وساحة مسجد أبي أيوب الأنصاري رضي الله عنه، والمطاعم والشارع التجاري المحيطين به. نظافة الشقة ومساحتها الواسعة. تعامل صاحب الشقة وممثله وتواصلهم معي بشكل دائم من قبل الوصول. الموقع ممتاز في سنتر أيوب وأسواق و مطاعم .. و تعامل أصحاب الموقع ممتاز و سلس .. مواقف مجانيه قرب الموقع. 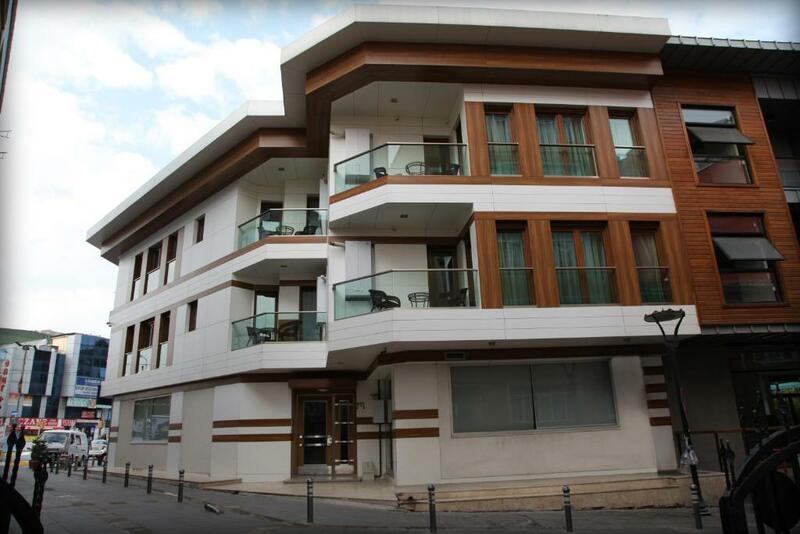 Lock in a great price for Eyup Sultan Suites – rated 8.5 by recent guests! One of our best sellers in Istanbul! 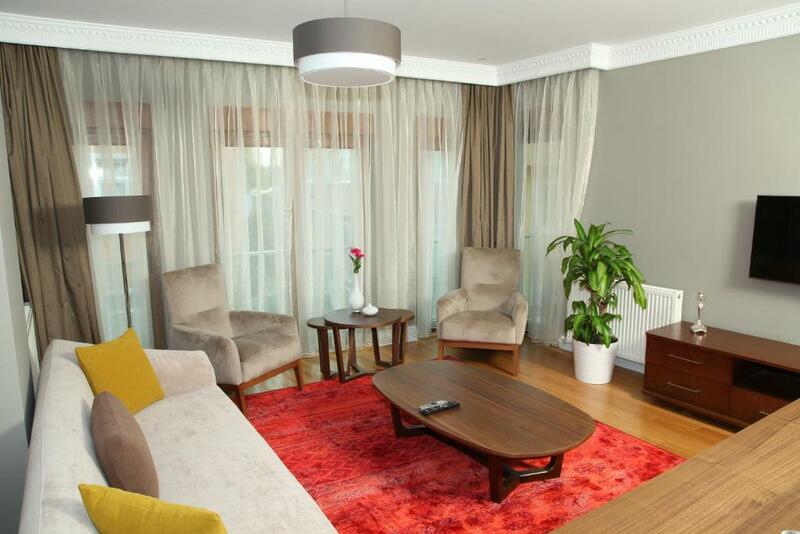 Located in the center of Eyup district, Eyup Sultan Suites offers a terrace with city views, and soundproofed suites with a fully equipped kitchen and free Wi-Fi. Eyup Sultan Mosque is just a 5-minute walk away. 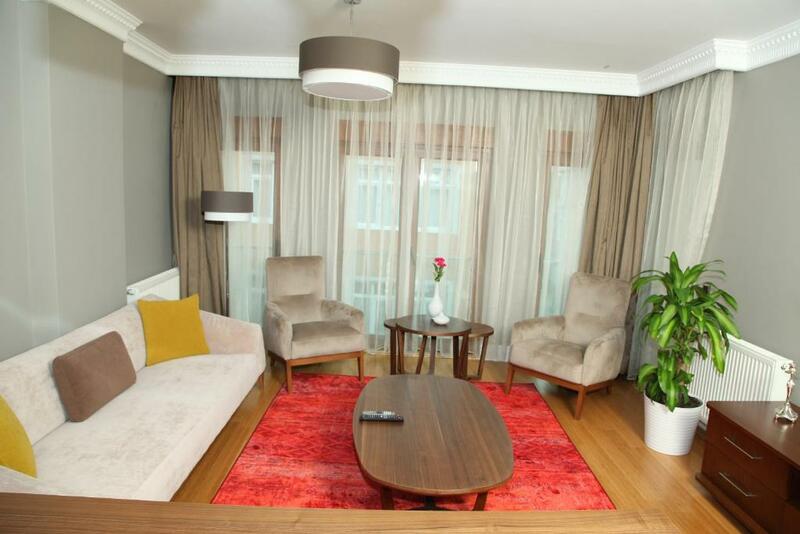 Featuring parquet floors, the spacious suites of Eyup Sultan Suites are tastefully decorated with modern furniture. 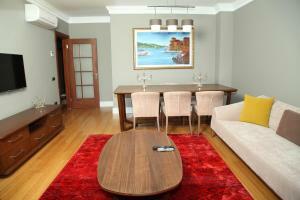 They all include a large living room with a LED TV, sofas and a dining area. Some suites also offer a private terrace with city views. The bathrooms come with a hairdryer, free toiletries and slippers. A washing machine and an iron are available. There is also private spa bath in some suites. Eyup Ferry Port is only a 10-minute walk from the property. Sultanahmet Square and many historical sites are around 5.9 mi away. Esenler Bus Terminal is within 2.5 mi. Ataturk Airport is 9.9 mi away. Eyup is a great choice for travelers interested in city trips, markets and tourist attractions. When would you like to stay at Eyup Sultan Suites? This spacious suite includes a bedroom, a living room, a full kitchen and a bathroom. It also features a private terrace with city views. This spacious suite includes 2 bedrooms, a living room, a full kitchen and a bathroom. There is a spa tub in the bathroom. 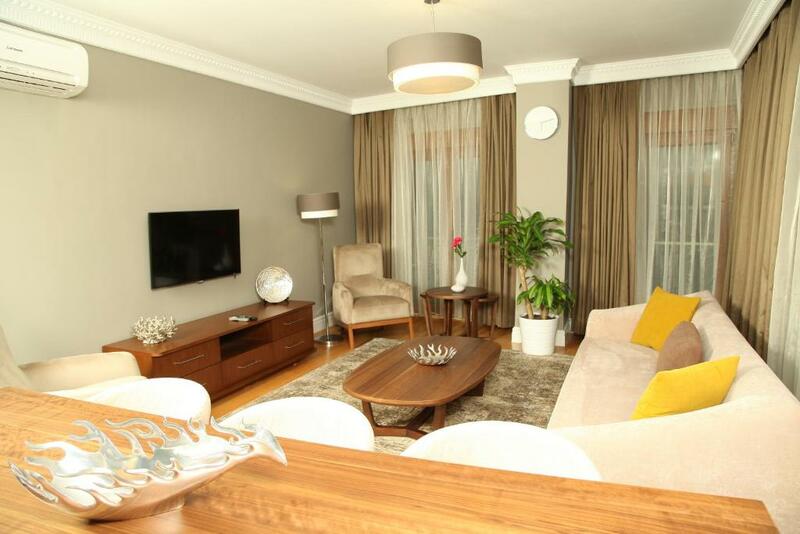 This spacious suite includes 3 bedrooms, a living room, a full kitchen and a bathroom. There is a spa tub in the bathroom. 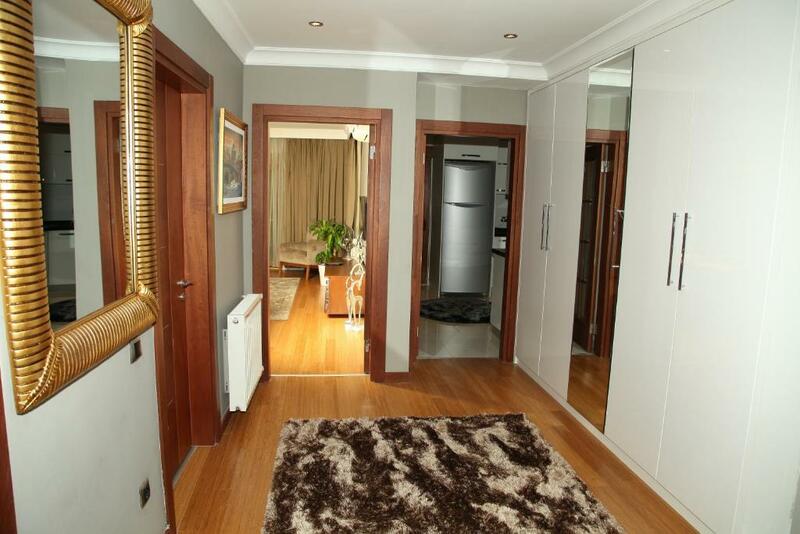 This spacious suite has a bedroom, a living room, a full kitchen and a bathroom. It also has a private terrace with city views. Area Info – This neighborhood is a great choice for travelers interested in city trips, markets and tourist attractions – Check location Great location - show map Guests loved walking around the neighborhood! House Rules Eyup Sultan Suites takes special requests – add in the next step! Eyup Sultan Suites accepts these cards and reserves the right to temporarily hold an amount prior to arrival. 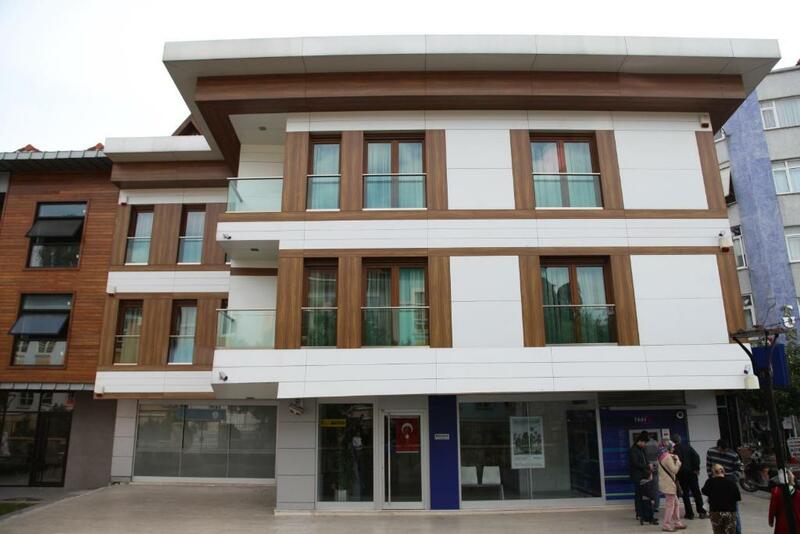 Please inform Eyup Sultan Suites of your expected arrival time in advance. You can use the Special Requests box when booking, or contact the property directly using the contact details in your confirmation. Parking is not available all times. Price is a little high. The bathroom needs some improvements, and the walls need to be painted to be called luxury apartments. we rented a one bedroom apartment. This is more like an attic in the 3rd floor. There is another apartment in the same floor which is just a big studio. The wall in the living room was dented and the paint was peeling off with humidity. Even the parcquet was not fixed and it was easy to remove the wooden tiles. It was not healthy for children. we tried to change the apartment but it was a high season.... The other balcony had a power generator and once electricity went off and the generator produced great noise and bad smell. The cloth dryer was rusty and kindly Mr.Cemal replaced it after a couple of days. I checked the 2 bedroom apartment which was way better than the one bedroom. So my advice to you is to book the 2 bedroom and avoid the 1 bedroom apartment. Nice place, good location and clean. The manager Mr Auos is very kind and helpfull.